There’s only so much thinking one can do about Andrew Bogut’s season ending injuries. So yesterday I spent the afternoon and early evening watching the Celtics-Cavs, Lakers-Spurs and the piece de resistance in the Warriors-Raptors game: Don Nelson’s record-tying 1,332nd win as an NBA head coach. I realize that rooting against the Raptors only serves Derrick Rose on his mission to make the playoffs, which in turn lowers the Bucks 1st round pick in the 2010 draft due to the pick swap that was part of the John Salmons trade. But this was about Don Nelson, our Nellie, the coach who took over the “Green and Growing” Bucks after the 1975 Kareem trade and built a decade-long legacy of winning that still stands as the Bucks franchise heyday, NBA championship or no. Nellie won 536 games in Milwaukee (40% of his total), as the Marques-and-Sidney, Sidney-and-Cummings Bucks averaged 54 wins per season 1980-87. The Bucks playoffs series’ with the great Sixers and Celtics teams became the stuff of legend, along with the coach, his players and those fish ties of his. Nellie loved being in Milwaukee; the city loved him. A championship yet eludes Nelson, and with the Warriors up for sale, this could be his last season as an NBA head coach. 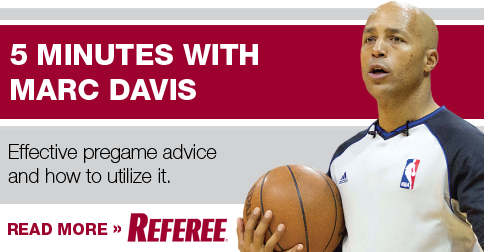 Sunday he tied Lenny Wilkens (Sonics, Cavs, Hawks) for the most wins in NBA coaching history. One more win and Nellie goes down in history. With games against the Wiz, the T-Wolves and the Clippers on tap for the Warriors this week, I’m looking forward to win #1,333. The Raptors (38-38) are a game ahead of the Bulls (37-39) and hold the tie-breaker. But after watching the Raptors lose a 113-112 shootout at home to the 23-win Warriors Sunday, a day after they did all they could to give away a game in OT to the 26-win Sixers, I’d have to say the Bulls have the upper hand in the race for 8th. The Raptors predictably ran a track meet with the Warriors (exactly what Golden State likes) and were helpless to defend a 39-point barrage from 3-point land in digging a 12-point 4th quarter hole. A furious comeback led by Chris Bosh and Jarrett Jack fell just short when Sonny Weems, doing his best Larry Bird vs. the Pistons in the 1987 playoffs imitation, stole the inbound under the Golden State basket, passed underneath to Bosh as he fell out of bounds … and Bosh blew the layup at the buzzer. The young Warriors jumped around a smiling, dancing Nelson in celebration of win #1,332, Bosh (42 pts, 12 rebs) knelt along the baseline, head buried in his arms, Bird-to-DJ moment denied. … Steph Curry was brilliant for the Warriors, nearly putting up the season’s 2nd rookie triple double: 29 pts, 8 rebs, 12 assists. The Raptors would probably make the playoffs splitting their last six games but that’s looking more and more difficult for this team. A good half of the Raptors rotation, Hedo Turkoglu included, looks ready for the season to end — and for free agent Bosh to move on to Act II of his career, which could very well be set in Chicago. Derrick Rose Tank? There was nothing for the Bulls to tank for after agreeing to swap draft picks with the Bucks, and they’re too good to fall in with the ping counters of the league anyway. Maybe that was the point all along in Chicago agreeing to the swap. That, and knowing that when picking in the teens and lower, it’s not so much where you draft as it is who you draft. The Bulls are reminded of this every day, watching their #26 pick overall pick in last summer’s draft, forward Taj Gibson, outperform the hobbled big forward they drafted ahead of Gibson at #16, James Johnson. 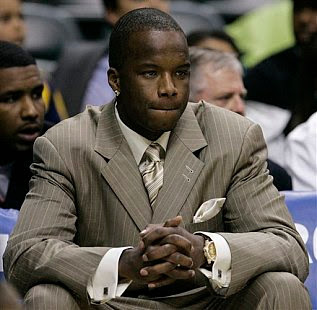 And then there’s 2008 #8 pick Joe Alexander wearing a suit on the Chicago bench, nothing if not a reminder of what can go wrong with a top 10 draft pick. For now, the draft can wait — Derrick Rose wants a playoff spot and we’ll all be better for it, Chris Bosh and the Raptors included. The Bulls beat Charlotte Saturday and host the Bucks in Chicago Tuesday, the Bucks’ first game since losing Bogut for the season. This was going to be a tough game for the Bucks at full strength, the first game for John Salmons against the teammates he began the season with. With Luol Deng back in the lineup for the Bulls, and without Bogut to give Joakim Noah fits in the post… well, it’ll still be a Bucks-Bulls game, one that both teams need coming down the stretch. The Bucks can clinch a playoff spot with a win, which would also go a long way toward holding off the Bobcats for the 6th seed in the East. Speaking of tanking: Nobody but nobody tanks quite like the Clippers. They’ve embarassed themselves at home against the Warriors and Knicks in the last five games, loafing through a three game road trip in between. Nobody even told the Knicks they had never beaten the Clippers in the Staples Center before Sunday’s game, and now no one has to. Ray Allen: Lebron James had 42 pts and led the Cavs back from a 23-pt second half deficit after taking over offensive point guard duties. But the day belonged to Ray, who scored 26 pts on 17 shots (not including free throws) compared to Lebron’s 28 pts on 32 shots. Ray was 6-9 from the behind the arc, James 0 for 9 as the Celtics won in Boston, 117-113. It’s good to see Ray shooting well since the All-Star break, bad news for Celtics playoff opponents. This has been his worst shooting year since 2003 when he shot 35% from three-point land after being traded from the Bucks to the Sonics. But since the All-Star break, Ray’s been back to his usual self, hitting 40.3% (54-134) . If he’s on, the Celtics are still one of the toughest teams to beat in the NBA (as the Cavs were reminded yesterday), a problem that becomes magnified in a seven game playoff series. With two games against the Bucks ahead and the Hawks with the lighter schedule, the Celtics seemed a lock for the 4th playoff seed in the East. Now that Kendrick Perkins and Kevin Garnett will miss Bogut, the Celtics may be inclined to win out the season. If I were a betting man, though, I’d take the Bucks to win a split vs. the C’s despite the disadvantage in the paint. Carlos Delfino has a website. But it’s in Spanish, so I can’t really tell you what he’s been telling the fans back in Argentina. It’s good to see him back in the lineup, though, recovered from the neck and head injuries that forced him to miss three games last week. I didn’t see this in the Milwaukee media over the weekend but AP talked to Delfino about his comeback game Friday against the Bobcats (14 points after a rocky start) and the injury itself. Interesting conversation, as the reporter knew more about what happened to Carlos than Carlos did — he doesn’t remember the rebound play under the Bucks basket or the foot of Udonis Haslem in his neck and head area. That would be the foot now referred to as Haslem’s “inadvertant” foot. I hope to hell we’ve seen the last of the freak injuries to Bucks players this season. Brian Butch to sign with the Nuggets: Ridiculous Upside’s been keeping tabs on Butch’s progress with the Bakersfield Jam of the NBA Development League and it seemed only a matter of time before somebody picked up the 6’11” Badger and his reliable 3-point shooting. The big man they call Polar Bear was averaging 18 and 12 for the Jam and was the MVP of the D-League All-Star game. Butch had been playing as an independent, without an NBA contract, but all that’s about to change as the Nuggets announced they’ve agreed to terms for the rest of the season (and playoffs), as well as a non-guaranteed contract next season. The Nuggets are thin in the front court with big forward Kenyon Martin’s recuperating knee and an ankle injury to the Birdman, Chris Anderson. Butch may or may not be on the Nuggets 13-man playoff roster, but he is eligible because he is not coming to Denver from an NBA roster (unlike PF Darnell Jackson, whom the Bucks picked up off of waivers from Cleveland). Also on the Nuggets roster are 7-footer Johan Petro and veteran Malik Allen, a Buck last season. Butch will be the 14th player on the roster. The Nuggets have been expecting Martin to return for the playoffs, but comments he made last week cast some doubt on whether his knee is making much progress. The Birdman’s sprained ankle seems to have compounded the need for an additional big man, prompting Denver to make a move. This entry was posted in Bucks Weekend, From the Land of Ray and Reggie, NBA Playoffs, The Jinx and tagged Andrew Bogut, Andrew Bogut injury, Boston Celtics, Carlos Delfino, Charlotte Bobcats, Chicago Bulls, Chris Bosh, Derrick Rose, Don Nelson, Jarrett Jack, John Salmons trade, Lebron James, Los Angeles Clippers, Luol Deng, Milwaukee Bucks, NBA lottery, Ray Allen, Sonny Weems, Stephen Curry, Toronto Raptors on April 5, 2010 by J.D. Mo. “Their postseason hopes suddenly in jeopardy, and with their $53 million shooter now an unwanted distraction, the Toronto Raptors came to Charlotte angry and on the edge of implosion. … The Bobcats’ meek, nervous response showed this playoff race thing is still new to them.” — AP sports writer Mike Cranston, leading off his Raptors-Bobcats recap. Dang, Mike. And most NBA fans think the high drama is in the West, where four teams are jostling for seeds 2-5. The race to settle 5-8 in the East may be just as good and not any less relevant, really, to the NBA title. The Cavs and Magic’s road to the championship runs East to West, and the beginning of that road is littered with teams playing .700 or higher basketball. The Bucks remaining schedule is so difficult, it’s time to stop looking up in the standings and focus on the teams below them, all of whom have cake schedules and could make this too interesting for comfort. Besides, the Bucks play the Clippers tonight, and I certainly don’t want to spend any more blog time than I absolutely have to thinking about the Clippers. The Raptors (36-37 and in 8th, just a game ahead of the Bulls) haven’t made any progress since 2008 when they finished 6th in the East (41-41), started slowly the next season and fired coach Sam Mitchell. With the addition of free agent Turkoglu, 2010 was supposed to be different — not a step back with 4th place even farther out of reach. So the blame has fallen on Turkoglu, who was benched Sunday in the loss to D-Wade and the Heat. Turk just wasn’t as responsible for the Orlando Magic’s success as people thought, and the Magic haven’t exactly missed the forward who was their weakest defender. In Toronto, where everybody from Jarret Jack to Andrea Bargnani to Chris Bosh can fill it up, Hedo’s solid offensive game is lost in the shuffle. Offense never was the Raptors problem — they’re dead last in NBA defensive rating (points allowed per 100 possessions) and allow more points per game than even the Knicks. If this can be laid on Turkoglu’s doorstep, I’ll bet you a contract extension for Toronto coach Jay Triano against Chris Bosh remaining a Raptor that says it can’t … even if he (Turkoglu) never was that good. Not even Ben Gordon good. That said, a split on a two-game road trip to Miami and Charlotte was better than half bad for these Raptors. The Bobcats in particular are an interesting matchup for the defense-challenged Raps, nearly their opposite. Larry Brown’s Cats may be one of the top four defensive teams in the league, but they have a difficult time putting the ball in the basket. The Raptors, led by Bosh’s 22 pts and some timely shooting by Turkoglu, put up 103 points last night and it was one bucket too many for the ‘Cats, even at home. This was the right outcome for the Bucks, as it hung Eastern conference loss # 23 on the Bobcats. This will matter if the Bucks and Bobcats end the season tied, a reasonably good possibility given the difficulty of the Bucks last 10 games. Should the Bucks lose in Charlotte on Friday the season series would be tied, throwing the tie-breaker to conference schedule. Bucks are 27-17 against the East this season, and would have to do a lot of losing in the conference for the Bobcats and their 23 losses to get the advantage in the race for the 6th seed. The Raptors go home to play the Clippers, in the East this week to play back-to-back games in Milwaukee and Toronto. Then it’s down to Philly for a game against the suddenly good Sixers and back home to play Golden State. These three games should decide whether the Raptors and Bosh have any business thinking about the playoffs, because the next three (Cavs, Celtics, Hawks) say the Raptors are A) an afterthought (the Cavs) and B) a spoiler. I think Bosh’s NBA stardom is also on the line in these next few games. You can only go so long losing more than you win before falling into the second tier or worse. If his Raptors are no match for the Clippers, Sixers or Warriors, this could be the last time we see Bosh as a centerpiece player in the NBA. Really. We went through this in Milwaukee with Michael Redd. Blaming the help (Turkoglu) is the first sign that the fall has already begun. How’s that for playoff run drama? Bucks-Clippers: I just realized the last thing I want to do is think about the Bucks two midweek games, tonight against the Clippers and Wednesday against the Cavs. At least it’s a back-to-back and the Bucks can get past these two quickly. And at least they play the Clippers first. D) The Bucks are at home. Spoilers: Sticking in everybody’s business are the Sixers, who are suddenly playing like the playoff team they were supposed to be this season. They beat the Bucks and Hawks last week, and play in Charlotte tommorrow. Saturday the Sixers host the Raptors. The Bucks close their season series with the Sixers April 9 in Philly, where they haven’t won since 2007. The Sixers rotation is filled with talented, athletic players, none of them the loafing kind (well, maybe Sam Dalembert takes a few nights off now and then, but never against the Bucks and Bogut). Mostly, they like playing D and, like a lot of defensive/hustle teams, will drive anybody who likes offensive efficiency nuts. They’ve had some injuries but forward Thaddeus Young (broken thumb) is the only player still sidelined as of this week. For teams like the Bucks or Bobcats, who like a good defensive struggle where the game comes down to turnovers and the battle for loose balls and rebounds (those 50-50 plays) the Sixers can be tough. They thrive playing the kind of ugly, possession-to-possession, Scott Skiles/Larry Brown style of basketball that breaks a lot of teams backs over 48 minutes. Philly might wake up and realize that their season is over, but that would be very un-Sixer-like. Very unlike an Eddie Jordan-coached team, too. In any case, it looks like the Sixers are doing exactly the opposite of quitting. “This is not a fluke. It is disappointing because we could’ve played like that the entire season.” — Sixers big forward Elton Brand. This entry was posted in From the Land of Ray and Reggie, NBA Playoffs and tagged Andrew Bogut, Baron Davis, Brandon Jennings, Charlotte Bobcats, Chris Bosh, Chris Kaman, Eddie Jordan, Hedo Turkoglu, Jay Triano, Los Angeles Clippers, Philadelphia 76ers, Sam Dalembert, Toronto Raptors on March 30, 2010 by J.D. Mo. With 7:38 to play in the 4th quarter Sunday and the Memphis Grizzlies threatening to pull away from the seemingly exhausted, flat-shooting Bucks, Andrew Bogut and Brandon Jennings stalked onto the court from the sidelines with such determination and focus that anyone who saw it might have declared the game over right then and there. Kurt Thomas, who had just turned the ball over by committing an offensive foul, headed for the bench, and Jerry Stackhouse, mired in an 11-game shooting funk (1-6 Sunday) that looks too business-as-usual to be called a slump, headed for the bench. Not to put the blame on those two reserves, both of them nearly old enough to be Brandon Jennings’ paw. The Bucks slide began late in the 3rd quarter with BJ and AB in the game and the Bucks in the process of making an 8-point lead vanish. They were down 5 went Bogut and Jennings returned to the game. A 17-footer by Rudy Gay on the ensuing possession made it 85-78. Coach Scott Skiles called time. Enough was enough, time to see if Ersan Ilyasova, Luke Ridnour and John Salmons were into the game or not. They didn’t have much choice in the matter. A rejuvinated Jennings quicked double-time into the pace of the Bucks offense, driving twice for layups. Luke Ridnour drove for one of his own. Salmons shot wasn’t flat anymore, Jennings was flying in for third layup and Ilyasova made the crowd forget about the airballs he had earlier tossed in zombie-like fashion from 3-point land. Meanwhile Bogut challenged Memphis shots, took a charge on Gay, tapped back an offensive rebound, ate space in the paint and the Bucks found themselves clinging to a 94-92 lead in the final seconds. Didn’t touch him, did he? The Griz finally cracked, Zach Randolph got hit with a couple of dumb fouls trying to crash the boards, and the Bucks shot free throws to the 108-03 final. This turned into one of the better games of the season, and not because the Bucks schedule is so brutal the rest of the way that it was almost a must-win game. I said it when the Bucks stole the game in Sacramento and I’ll write it again — this was not a game the Bucks would have won 3 months ago. Bogut and Jennings willed this game into the win column. The knowledge that they can do this makes being a Bucks fan a hopeful fan to be with their first playoff together fast approaching. Jennings led the Bucks with a near triple double: 29 pts, 7 rebs and 8 assists. Bogut added 18 pts, 11 boards. And Salmons shot his way to 25. Ridnour refound his hyper-efficient groove and added 14 pts, 6 assists off the Bucks bench. The Grizzlies starting five is fun to watch. Third-year-pro Conley, from the 2007 Final Four Ohio State team (Greg Oden) is at point; last season’s ROY runner-up Mayo is the shooter; UConn star Rudy Gay (2006 draft) is averaging 20 pts per game at small forward; there’s beastly 28-year-old Randolph (Michigan State) at big forward (31 pts, 15 rebs Sunday) and, at center, Marc Gasol, 25, younger brother of Laker Pau, but tougher and not complaining about Kobe’s refusals to pass the ball. The Griz are 38-35 in Lionel Hollins’ first full season as the coach, as opposed to the interim/acting stints he’s served for the team in the past. Hollins was an assistant on Scott Skiles’ staff last season before returning to the Griz. That half-season in Milwaukee was the only NBA job outside the Grizzlies’ organization Hollins has held since the franchise came into the league as the Vancouver Grizzlies in 1995. Up until 2008, Hollins had coached in one capacity or another ever single game in Grizzlies franchise history, beginning as an assistant to Brian Winters at the dawn of Grizzlie time in the NBA. (Winters’ retired #32 Bucks jersey is hanging from the Bradley Center rafters). There’s a post way back in the BBJ archives about Hollins, written when Skiles hired him in May of 2008, and you should click here to read more about it. Hollins is a great coach and if yesterday’s game was any indication, he’s got the Grizzlies moving in the right direction. The Bucks were lucky to have him here for the time that they did. Yeah they are. And it looks as though they’re going to be tough to beat for years to come. Detroit is 2-14 against the Central Division, with both wins coming against Milwaukee. Besides being swept by the Bulls for the first time in 14 years, they were swept by Indiana for the first time in franchise history. The Bulls have beaten the Pistons 7 straight times. Yes, the Pistons are that bad. Earlier today I saw a headline on the Journal Sentinel website about “Villanueva” and a possible “demotion.” I hit the link, curious to find out the latest bunk on Charlie Villanueva only to find that it was only Brewers pitcher Carlos Villanueva trying to convince a reporter that the possibility of being sent down to the minors doesn’t bother him. For a second there, I thought the Pistons were considering sending Charlie V to the D-League for some shot selection boot camp. How did the Bucks lose twice to those guys? In MIAMI — A big comeback by the Heat in the 4th quarter commandeers a game the Raptors had well in hand. Chris Bosh and team appear lost as Dwyane Wade makes play after play, asserting the inevitable. That’s the good news. The bad news is that the 35-37 Raptors were the only team remaining on the Heat schedule that had any chance at a playoff spot. All that’s left now are 8 teams fighting for pings, and the Heat have a scaaaaaaary 3-game road trip coming up that takes them to Detroit, Indiana and Minnesota, their only departure from the dregs of the East. The Heat have won five in a row and are 40-34, just two games behind the Bucks (40-32) on the loss side. The Bucks hold the tie-breaker but D-Wade wants the #5 playoff seed. The Bucks, meanwhile, hope Carlos Delfino recovers nicely from the neck and jaw injuries he suffered agains the Heat Friday and are battling a flu bug (Ersan took IV treatment a couple of days ago and now Charlie Bell is sick). Bogut seems OK after missing Friday’s game with a muscle problem in his upper back, and he’s just in time for a rematch Tuesday against Clippers center Chris Kaman, who had 20 against the Bucks in L.A. without his feet ever leaving the floor. After that, six of the Bucks last nine games are against teams fighting for playoff spots or position. Team # 7 is the Lebrons on Wednesday in Cleveland, not fighting for anything really but wouldn’t mind mathematically eliminating the Lakers from contention for home court advantage throughout the playoffs, the sooner the better. Zydrunas “Big Z” Ilgauskas, made his big return from 30-day buyout exile last night against Sacramento. Game 8 is at Philly, where the Revenge of the Airball seems a vendetta without end. For the moment, the Bucks play four games in five days, are tasked with winning the tie breaker against 7th place Charlotte Bobcats (38-34) in Charlotte on Friday, a game certain to be a nasty defensive struggle against Larry Brown’s team. It always is. The Bucks then jet home to face Steve Nash, Amar’e Stoudamire (got the apostrophe this time) and the red-hot Phoenix Suns Saturday. It’ll be the Suns 5th game this week, too, and they’re fighting for home court advantage in Round 1 of the West playoffs. For the first time in the history of the Raptors franchise, I find myself rooting for them. Let’s see if it does any good. *In the event the Bucks lose and the Charlotte season series knots at 2-2, the next tiebreaker is conference division record. After a whole bunch of nonsense that I just deleted, the bottom line is that the Bobcats are very much in striking range of the Bucks, especially if the Bucks crap out and lose six games to East opponents the rest of the way — a possibility considering that the Bobcats, Hawks, Celtics (twice), Cavs, Bulls (in Chicago) and a trip to Philly are on the schedule. The Bucks’ conference record is 27-17. The Bobcats are at 22-23. The Bucks need 3 wins against East competition to claim the tie-breaker IF they lose Friday in Charlotte. If this sounds like one too many scenarios springing from the art of losing, it probably is. Let’s just beat the Bobcats Friday and grab the tiebreaker. This entry was posted in From the Land of Ray and Reggie, The Jinx and tagged Charlotte Bobcats, Chicago Bulls, Chris Kaman, Dwyane Wade, Larry Brown, Lebron James, Lionel Hollins, Memphis Grizzlies, Miami Heat, Milwaukee Bucks, NBA Playoffs, Toronto Raptors on March 29, 2010 by J.D. Mo. The Raptors come to town boasting two of the top three 3-point shooters in the NBA — All-time! Reserve forward Jason Kapano is #1 in 3-point shooting percentage and starting guard Anthony Parker is #7. Plus, they bring a top tier point guard to the BC in Jose Calderon. Just as against many NBA opponent, the Bucks will not find advantage in the backcourt — but the frontcourt of Bogut, Villanueva and Jefferson should decide whether the Bucks are in this one or not. GAME TIME 7:30pm — Bradley Center and on FSN. After today’s game, the Bucks are off to NY, a game they’d better win if only because the Knicks stole two games from the Bucks last season. Watch out for David Lee, the Knicks big forward. The Bucks lost track of him repeatedly last season and he was the difference. Beating the Knicks is the responsibilty of Andrew Bogut and Charlie Villanueva. Hold down the paint guys and you’ll likely have a win. Two days off before the home opener Saturday: The Raptors will be a good test, and let’s hope another debacle like the Chicago opener doesn’t occur. It’s another game the Bucks need to win if they have any hope of posting a respectable record this month (and next month too — the Bucks are staring down a December gunbarrel of a second trip west and a back-to-back in Texas). Saturday offers Bucks fans a first look at the new Raptors, with TJ Ford gone and Jermaine O’Neal manning the post (check that – I don’t recall that O’Neal was ever much of a post threat; good midrange shooter, though). Another advantage for Bogut? Not certain with Chris Bosh also in the paint; also Toronto has a big edge at point with Jose Calderon, making this matchup a tough test for the Bucks guards. Nonetheless, it’s still a good idea for the Bucks to test O’Neal with Bogut just as they did last night against the Thunder and try to gain a frontcourt advantage. The Bucks and Charlie Villanueva will have their hands full with Bosh, not to mention Calderon and some of the best shooters in the league, 3-point champ Jason Kapano, a reserve forward, and starting shooting guard Anthony Parker. Kapano’s career three-point percentage is .466 – tops in NBA history. Parker’s career 3-point percentage is .426, 7th all-time and 3rd among active players, behind only Kapano and Suns MVP Steve Nash. Kapano and Parker hit 6 of 9 threes against the Sixers Wednesday night, spoiling Elton Brand’s Philadelphia debut. Here’s the active career 3-point shooting list at basketball-reference.com. As you can see, Michael Redd is down to 18th after a poor shooting season last year; Ray Allen is 12th among active players, though he’s second only to Reggie Miller in career 3-pointers made. Charlie Bell makes the active rankings at 44th, with a .361 percentage. This entry was posted in Bucks Weekend and tagged Jermaine O'Neal, Michael Redd, Milwaukee Bucks, New York Knicks, Ramon Sessions, Toronto Raptors on November 1, 2008 by J.D. Mo.